Every time we cry foul over tennis goddess Serena Williams being victimised in a 'white man’s game', we fail as Serena fans. More than anyone else, we reinforce the glass ceilings she has smashed long before. 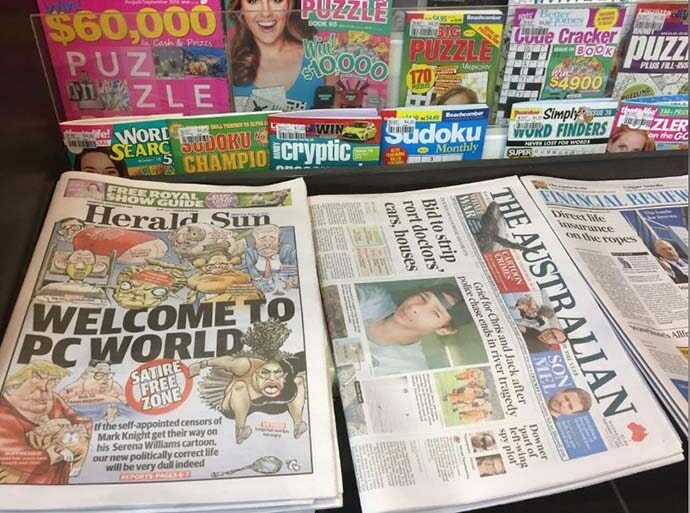 Yet, the rage of the fans across the world seems to have enough fire to threaten Australian cartoonist Mark Knight enough for him to have deleted his Twitter account facing huge backlash after he sketched a Serena cartoon on the Herald Sun. According to Knight, his family members were being abused on social media, following his ‘racist’ caricature of Serena, which, as he said, was just about bad behaviour, not at all about race or gender. So, Serena William’s loss to Naomi Osaka at the US Open 2018 last Saturday has, as expected, far-reaching impact — and collateral damage. A lot has happened since Saturday. But nothing, absolutely nothing, exuded true sportsperson spirit. Nothing. 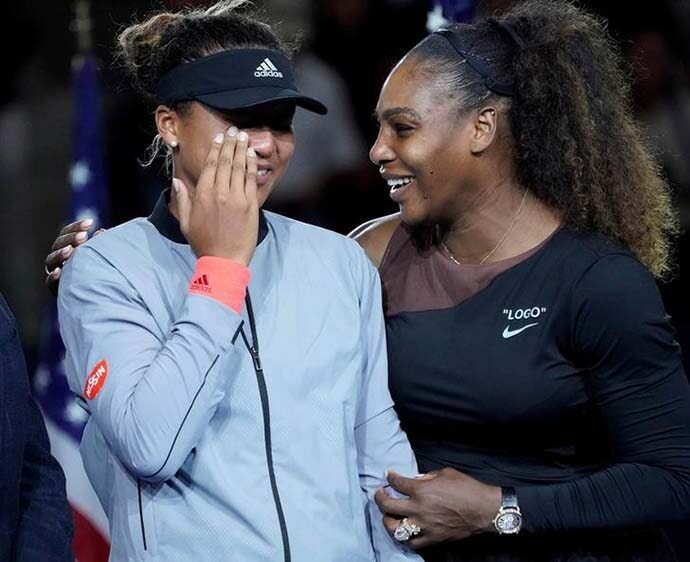 Naomi Osaka had to actually apologise after her victory as the audience was not prepared for Serena’s defeat. Serena’s vitriolic protest against umpire Carlos Ramos’ decision was described as ‘tantrums’ and her fit of rage as ‘meltdown’. Then came Mark Knight’s cartoon, which was immediately shredded to pieces for being 'racist' and 'sexist'. Even Amul’s cartoon, filled with its usual buttery cuteness, drew ire for the accompanying text on Twitter: #Amul Topical: Ms William’s tantrums in US Open Finals', because of the use of the word tantrums. Going by the dictionary meaning, a 'cartoon' is a simple drawing, showing the features of its subjects in a humorously exaggerated way, especially a satirical one in a newspaper or magazine. So, a cartoon has to be cheeky and exaggerated, rendered in the signature style of the cartoonist. That’s what makes a cartoon different from a portrait. At the same time, it must have a semblance with reality. We have seen political outrage over cartoon — fan outrage is not so common. So, what exactly enraged millions on Twitter, including JK Rowling and Masaba Gupta, who came down heavily on the cartoon, posing questions to the very freedom of art? Are people outraging over a ‘butch and fat-lipped’ cartooned Serena not taking this cartoon with a lot more seriousness than the US Open finale? 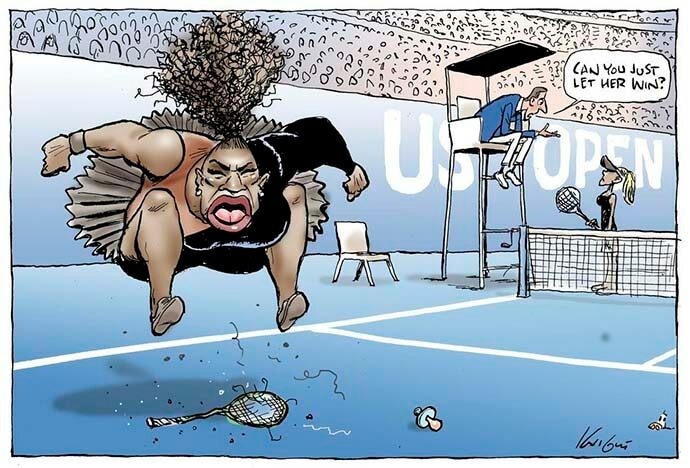 The newspaper has reprinted the same cartoon, with many other cartoons to show that they have never been biased against Serena. But seriously, is this the way we are heading? Everything, everyone has to be 'politically correct' — except Serena fans who actually do a disservice to Serena’s prowess every time they pick up a petty fight — be it booing Naomi, or abusing Mark Knight. A case of highly confused priorities. Booing before praising. Cartoon ahead of the real person.